Start your healthy lifestyle today! You can choose from a variety of gym membership options to fit your budget and lifestyle for as little as $24.99 per month. No matter what your fitness goals are - weight loss, wellness or overall fitness - we can help! Membership can be customized to include a variety of services and amenities. Please call us or email for a customized quote for just yourself or your entire family. We are ready to help you get on track to reaching your goals. A healthy family is a happy family! Family memberships are available for the kids too! Whether you want us to watch the kids while you workout or it’s time for a group workout session or family swim, at MAC we want the whole family to be included. Children ages 12-14 years old can work out with a parent, while teens, age 15 years and older can work out on their own or with their friends. For younger children, our supervised, Kids Korner playroom, is the perfect place for your little ones to be active and make new friends while you take some time for yourself. All family members benefit from FREE orientation training session(s) with a Certified Personal Trainer, where they learn how to safely use the equipment and receive a customized workout plan just for them. Add your family members at any time by contacting MAC Member Services. Check out more MAC family services here. Your membership can be customized with add-on services to enhance your fitness membership for as little as $10 per month. 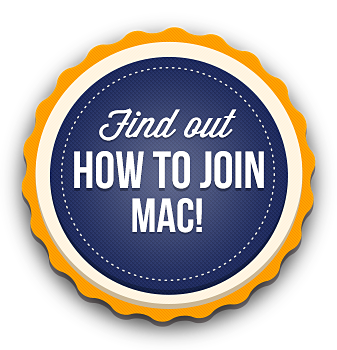 We are happy to accommodate you so that you can experience everything that MAC has to offer! Come and see how a family run club and award winning fitness center offers you a more personal approach to stay healthy. Come in for a tour, go over the many classes we offer and let us answer any questions you may have about MAC. Your interest is important to us, so don't be shy - stop in or contact us here. Read what our customers have to say about MAC and their experiences here!